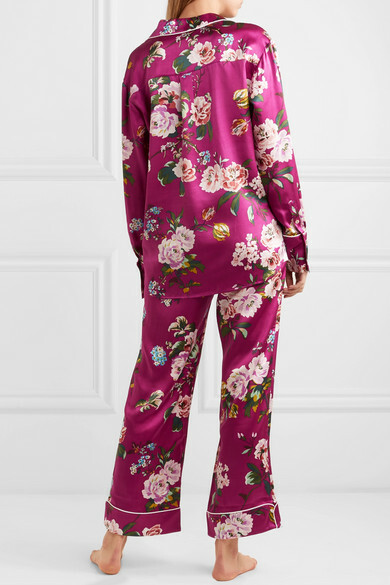 As Joan Smalls and NET-A-PORTER's Lisa Aiken have proven, Olivia von Halle's pajama sets should not be reserved solely for sleeping - they look just as good worn to dinner and parties with heels, too. 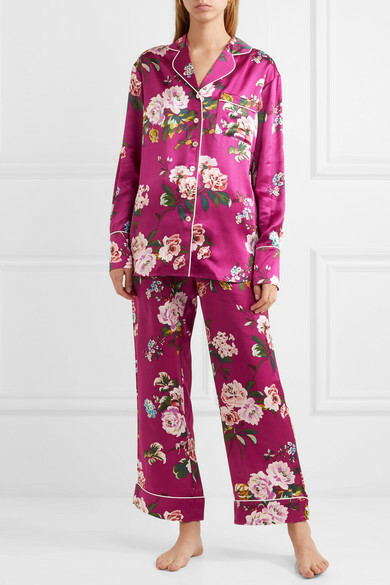 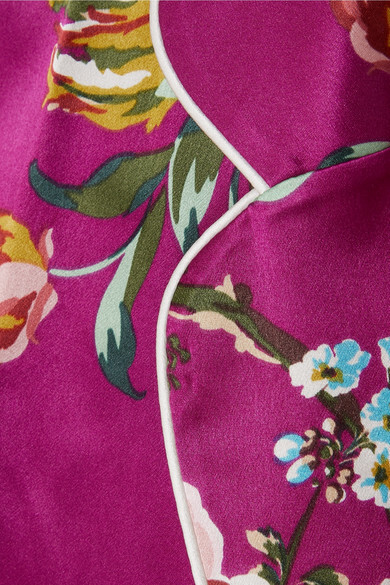 This 'Lila' set is cut from lustrous silk-satin that feels so soft against your skin, and decorated with bold florals and mother-of-pearl buttons that really pop against the rich magenta backdrop. 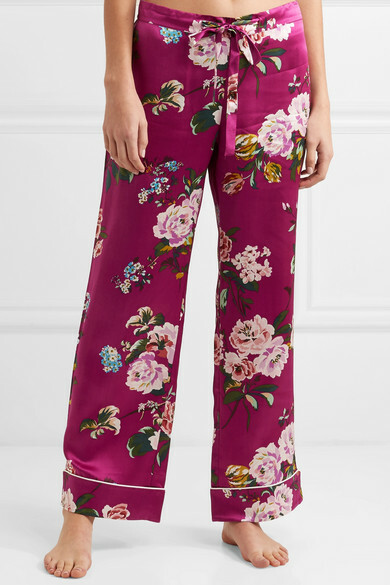 Try styling the shirt loosely tucked into jeans during the day. 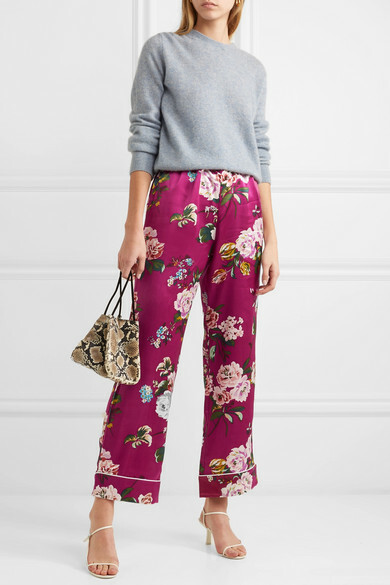 Wear it with: The Row Sweater, REJINA PYO Bucket bag, The Row Sandals, Sophie Buhai Earrings.